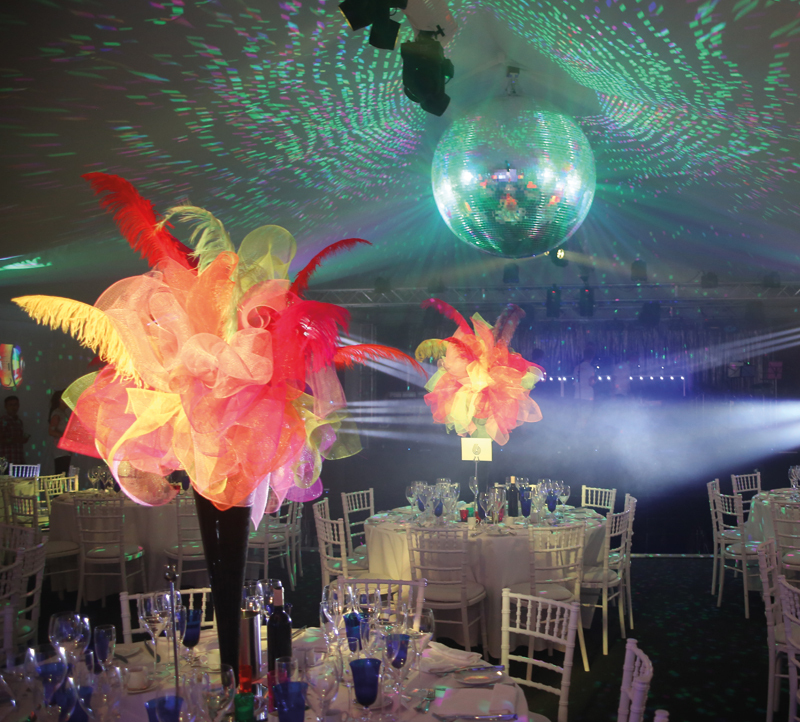 For us, only way to start our design was with an iconic mirror ball – but a really big one (1 metre in diameter!). Then we used 24 moving-head lights projecting classic images and video, along with retro lava lighting effects all floating across the whole room. 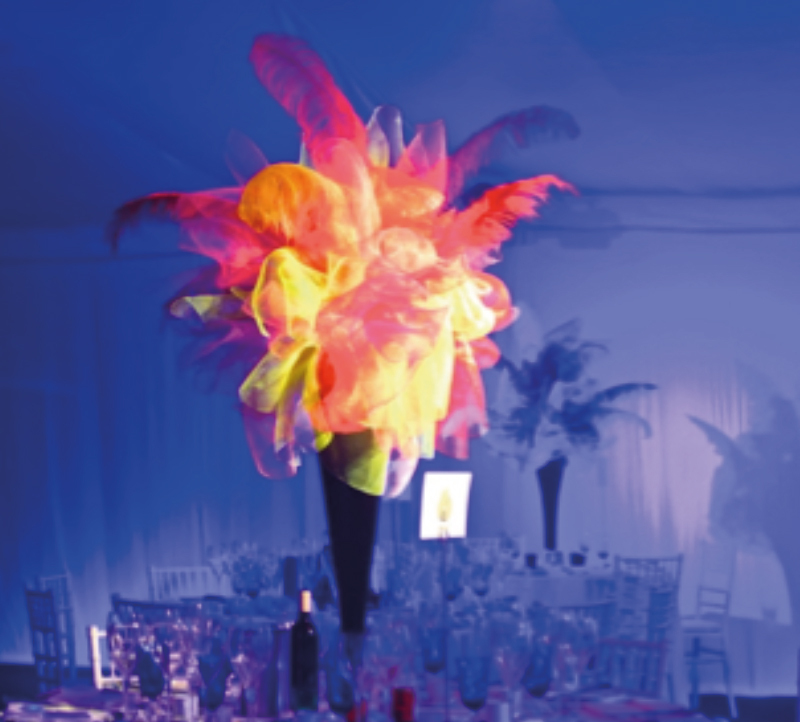 The stage had a floor-mounted truss system to light the band, DJs and dance-floor with nearly every effect conceivable. Over the top? Absolutely. Did it work? On every level. The video below shows how it all came together. 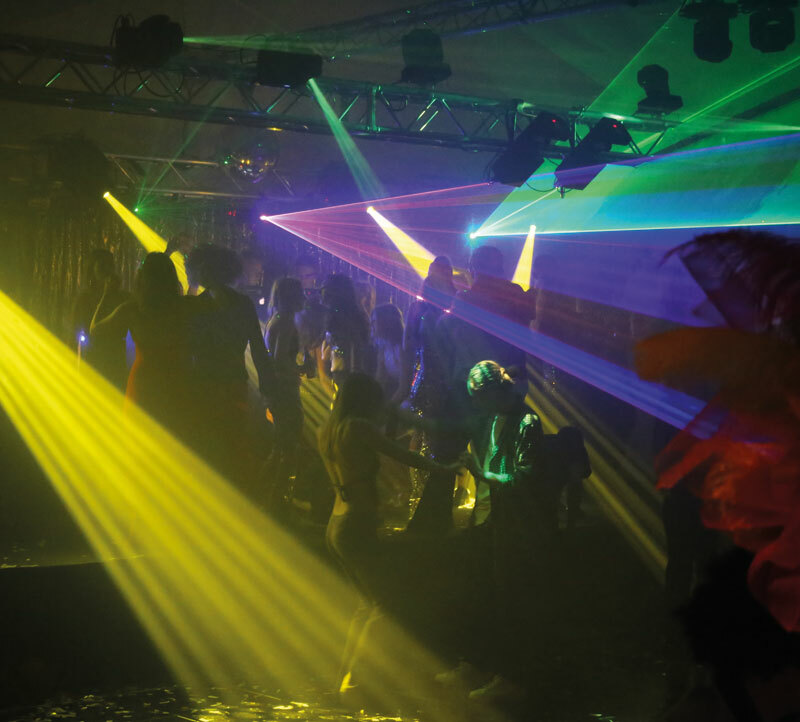 This was a fully programmed lighting installation that allowed complete control at every stage of the event, including the dancers on roller-skates.